When it comes to learning and development in the workplace, it’s common to come across the 70:20:10 ratio. Twice as likely to analyse problems before designing a solution. This framework was first conceived in 1996, a full 20 years ago and long before the age of smartphones, tablets, and the widespread application of microlearning. All of this then raises the question: does 70:20:10 still apply today? How relevant is the 70:20:10 model in the Internet age? At Clarity International, we’re passionate about the way that new technologies and training design can allow for more effective learning retention, improve employee engagement in the learning process, and allow businesses to capture solid data that identify the bottom-line impact of learning. The arrival of the Internet, and the current proliferation of online and mobile learning technologies, has altered the training industry’s views of the 70:20:10 model. At the minimum, a growing chorus of training professionals contends that the model does not reflect the market’s fast-growing emphasis on informal learning. One frequent observation is that while the model’s specific ratios do not reflect current learning opportunities, it remains generally consistent with the developmental experiences of many leaners. Thus, the model continues to serve as a valuable guideline on how to employ various developmental experiences. Take reading the news for instance. Years ago, I remember the newspaper arriving on the doorstep every morning. It would be consumed over 45 minutes to an hour over breakfast, and would not be thought of again until the following day or that night for the evening television news, another similarly large, or macro-, dose of learning. Today, you might catch some headlines on Twitter, listen to a couple stories or podcasts on your radio or mp3 players on your way to work, get an article from a colleague via email, and have a few friends text you about the events of the day. We’re now accustomed to information that is both immediate and recent, making the sit-down, formal learning method almost seem obsolete. With the modern corporate learner being busier than ever, they need learning which is on demand. This knowledge isn’t necessarily in a workshop or online in a pre-built learning object, instead this is located with the specialist in that area. For example, the 70% could be experiencing something new in a meeting, which may then be discussed in a social learning forum leveraging the 20%. Following that, the learner can then solidify and expand their understanding even further by carrying out more formalised training. We’ve been successful in implementing SharePoint-based projects of all sizes for clients around the world to address this exact need. 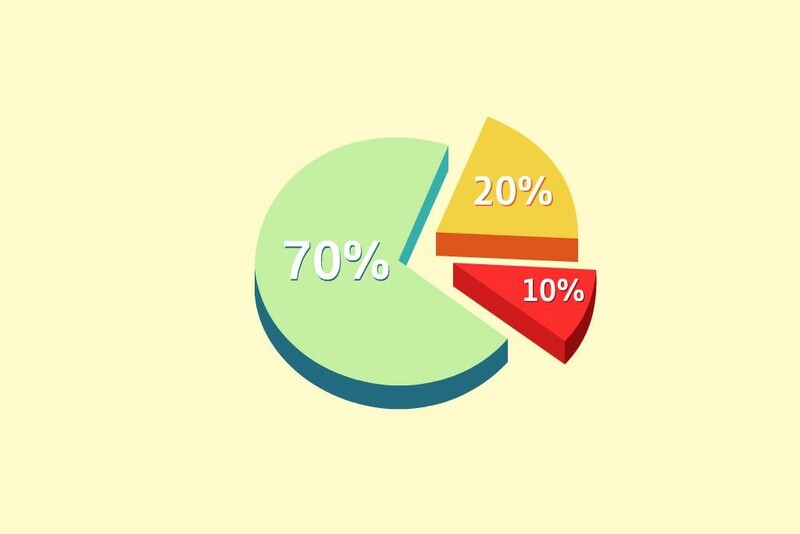 Social learning in this case aims to link the 20% and 70% of corporate learning that occurs. Away-from-work learning may be useful to help build basic understanding—especially when explicit information and processes are involved—but context is critical to all other learning, and almost always defined at or just before the point of need. What does this mean for designing solutions to address performance challenges and problems? It’s advisable to start with the 70 and 20, and once you have this part mapped out, you can then decide what kind of formal training or eLearning you need to include based on the needs of the role and the skill gaps of the learner. In the end, and regardless of the ratios, the purpose of training is to improve your business, promote an environment that’s committed to improving on a daily basis, and drive engagement and confidence in your team. So rather than obsessing on the ratio mix maybe the focus should be on the quality of learning that is actually used back on the job consistently over time. Measuring this is where the real gains could be made.